I just witnessed the best example of motivated employees I’ve ever seen. It’s birthday time at Traxia. Birthdays mean a big, fat bagel pack from Panera. This morning, when I picked up the bagels, the woman waiting on me turned to hug a young man she obviously really cared about. They hugged and talked about how they were going to miss each other and what a joy it had been to work together. I waited at the register until she turned back around. When she did, she was crying. I asked if she was alright. She said the young man had graduated from college and was moving on in life. As he turned to leave, everyone he passed appeared to know him. They shook his hand and chatted personally. At the door, he greeted an elderly couple with such warmth, they hugged him too. Panera should never let that young man go. They should make him a district GM, but they probably have no idea he even exists. I am not a morning person. Let me repeat that. The day does not begin for me before 10 am. Because Traxia understands that creativity is important for a marketing person and because they value me as a person, I don’t start my work day until 9:30 am. Of course, I typically don’t leave until 6 pm. If you have motivated employees, find out what time of day is best for them. Be flexible. Let employees tell you their peak work hours and see if you can honor that when scheduling them. A sales associate that’s intuitive to others is usually more sensitive. Train your salespeople to recognize a customer’s body language. If they can pick up on certain cues, how the customer feels about themselves or even your merchandise, they’re more likely to begin building a relationship. They will also be more likely to make a sale. Being sensitive however, usually means that salesperson is more likely to get their feelings hurt when they don’t make the sale. Be their cheerleader. Sales role-playing is excellent to improve this skill. The bottom line…training. Give your sales team continuous, motivating sales training. Make sure their sales goals match their abilities. Provide the verbal praise, and perhaps monetary reward that keeps them encouraged. 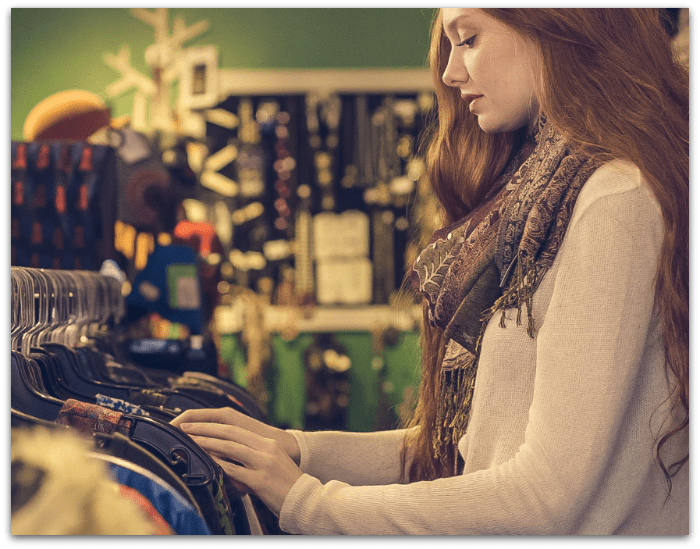 Keep your sales floor filled with the merchandise you know your customers are looking for.